A Wikipedia item describes the “tiyanak” as “a vampiric creature in Philippine mythology that imitates the form of a child. 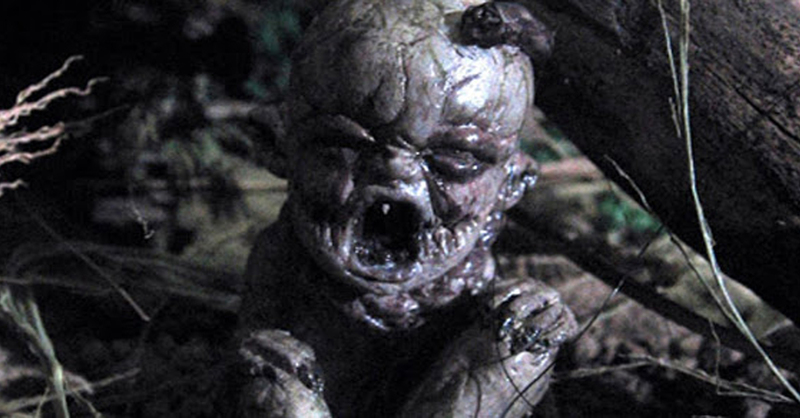 It usually takes the form of a newborn baby and cries like one in the jungle to attract unwary travelers.” The “tiyanak” is also thought of as a creature known for leading its victims astray2. READ: “Documented General Characteristics of the Batangueño in 1915.” This article contains a section on mythical creatures people of Batangas believed early in the 20th century. At any rate, Chavez’s story, which we feature below in toto below, is more about victims getting lost, something many Batangueños will associate with another mythical creature, the “tikbalang.” It is just one section of the paper and has been edited for grammar and broken down into paragraphs for the reader’s convenience. Annotations are provided where necessary. One day, a woman with her sister and two other persons went to the foot of the Makolot [The contemporary Tagalog spelling is Makulot. However, in historical documents, the mountain’s name has been spelled anything from Maculot to Macolod.] Mountain to pick some guava fruits to feed their hogs. It was in the early afternoon when they left the village with their baskets which the natives called “takuyan4,” and went to seek the guava groves. When they reached the foot of the mountain, there was a field of guava trees with numerous fruits. They began to pick the ripe ones and not long after they were separated by a small grove of bamboo. While they were picking the ripe fruits, the sister and the other two persons were enjoying chatting. After some time, the sisters could not hear the voices of their mates anymore but, instead, they heard the voices of small children. The strange thing about it was they could not see them [the small children]. The voices asked the two sisters to follow the way in front of them. The two sisters followed the road [Presumably, the voices made the sisters hallucinate that there was a road in front of them.] until at last they could not leave that place. They found that they were just walking around and around that place. When they met each other [i.e. when the sisters found their companions], the two sisters related what happened to them. They were convinced that the “tianak” roamed in that area as some people said. Since that time, the area began to be regarded as a dangerous place. People since then did not go there because they were afraid of becoming lost. 1 “The Makolot Mountain and the Stories Relating to it, as Told by the Old People of Cuenca,” online at the Henry Otley-Beyer Collection of the National Library of the Philippines Digital Collections. 3 “Social Culture of the People of Batangas Province,” by Leon Bibiano Meer, published 1915, online at the H. Otley-Beyer Collection of the National Library of the Philippines Digital Collections.